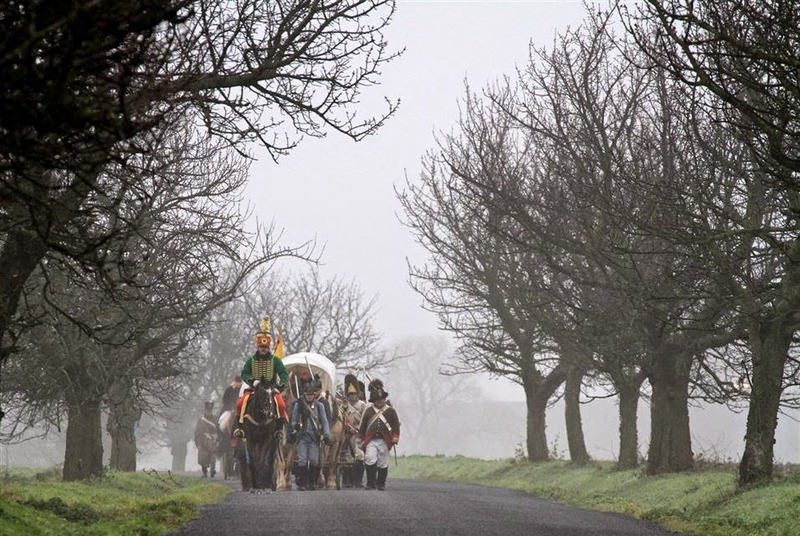 Now Austerlitz is the site of a great annual reenactment, just held again this year. 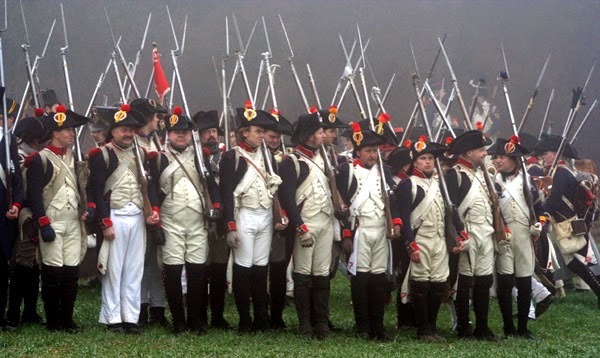 Oh, those wonderful Napoleonic uniforms. 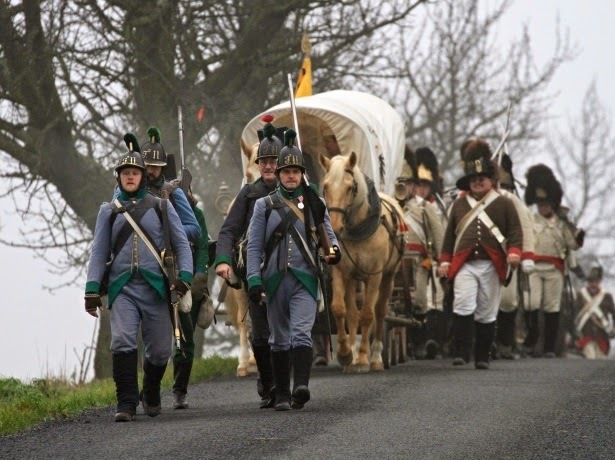 Some of the reenactors want to get out of the house for more than a day, so some of them also reenact the great marches of 80 kilometers (50 miles) or more that brought the forces to this battlefield. And the real fun, back in camp. I've been perusing a National Geographic book I got out of the library, Masters of Nature Photography (2013). 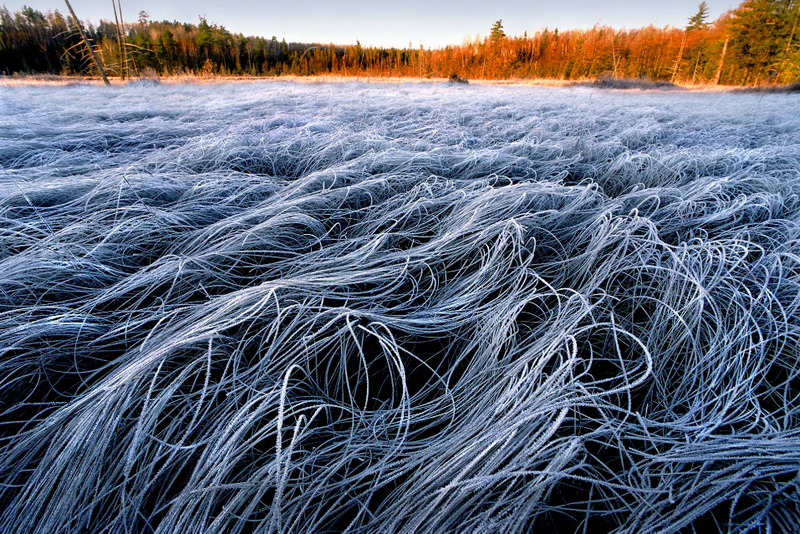 It's amazing, of course, because if anybody knows nature photography it's National Geographic. It led me to Jim Brandenburg's web site, where I got all of these marvels. I may get to some of the other contributors over the next few days. 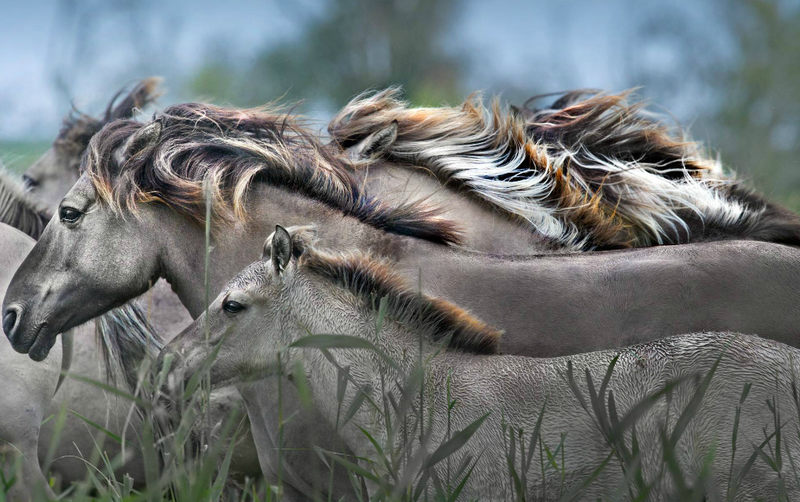 Above is a picture of wild horses Brandenburg took at the Oostvaardersplassen Preserve in the Netherlands. 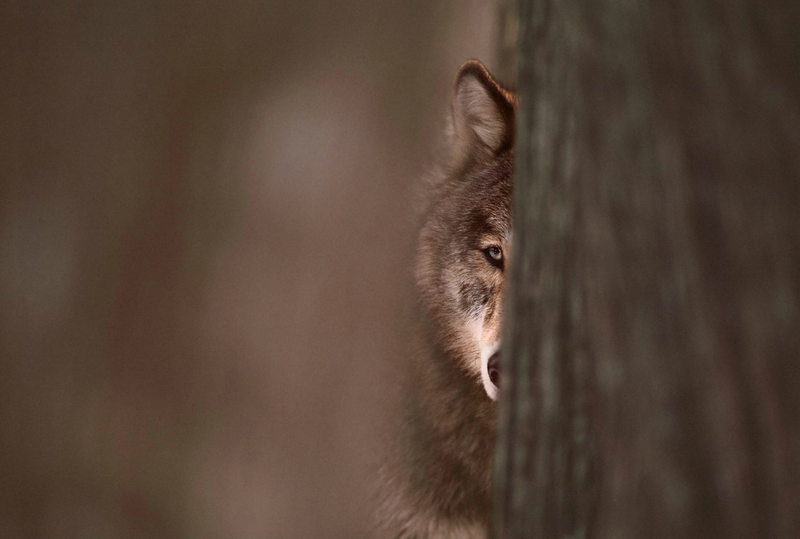 Brandenburg is most famous for his pictures of wolves, especially this one from 1986, which as he notes "changed his career." He only saw the wolf for a second and was not even sure he captured it until he developed the film, and he was at first disappointed that he only caught half its face. Some great photographs are a matter of very careful attention to the light and the framing and so on, and some are mainly about being in the right place at the right time. 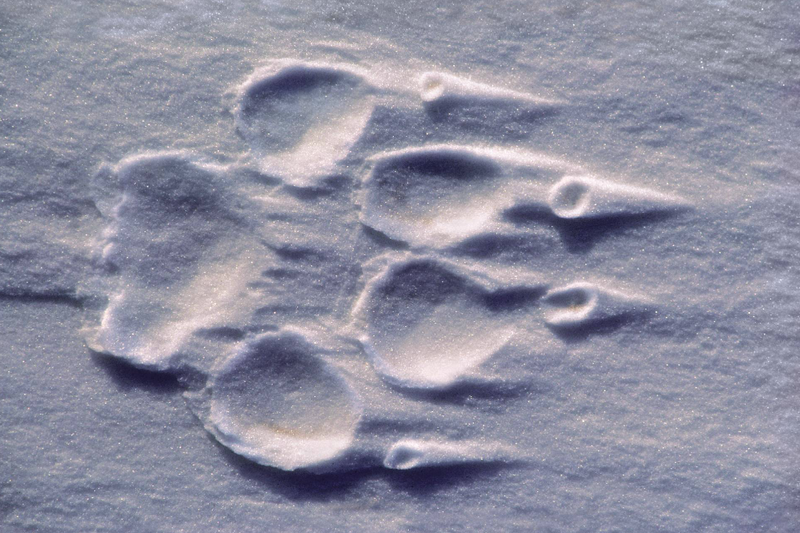 Single Wolf Track in the Snow. 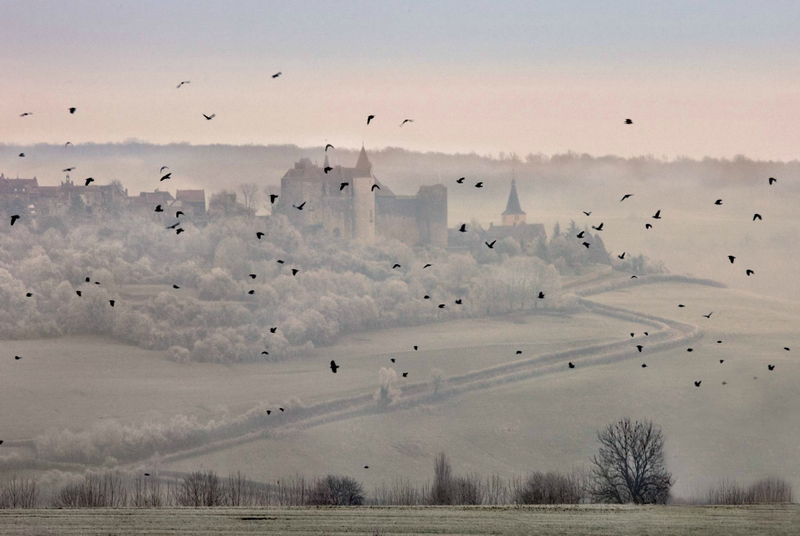 Birds, Castle Fog. Hundreds more at his web site. 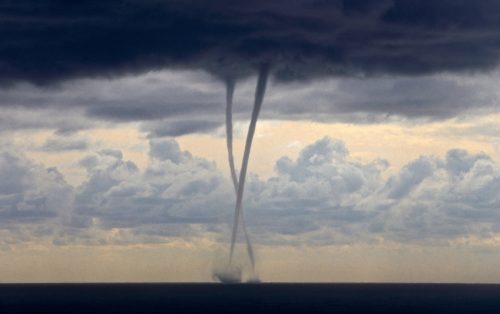 Dual waterspouts off the coast of Italy. Video here. 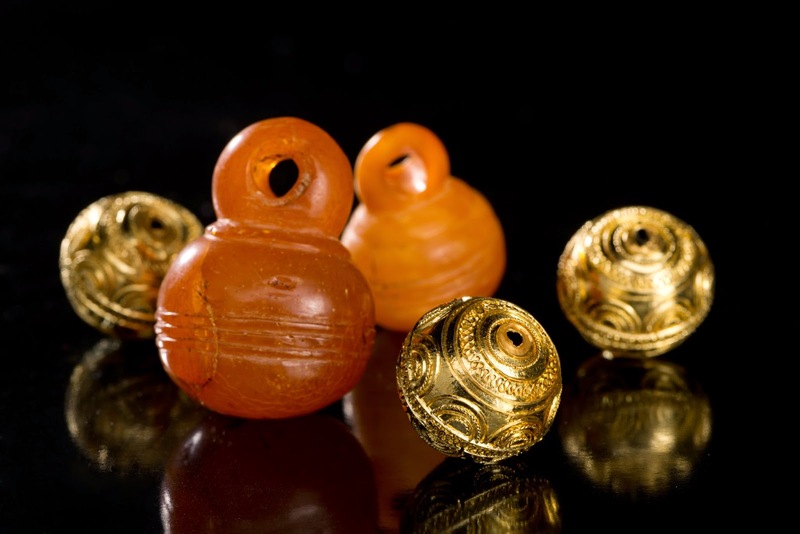 Back in 2010, German archaeologists were exploring a Celtic cemetery along a small tributary of the Danube called the Bettenbühl, near the major settlement of Heuneburg. Most of the graves here had been thoroughly looted long ago. 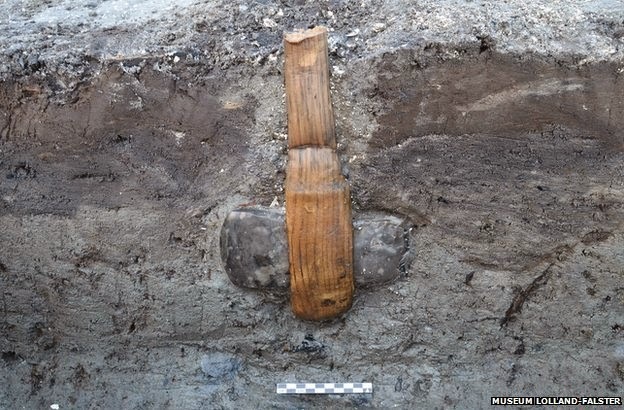 With enough patience the archaeologists eventually discovered a wooden burial chamber that seemed to be intact, the timbers preserved by the wet soil along the stream. 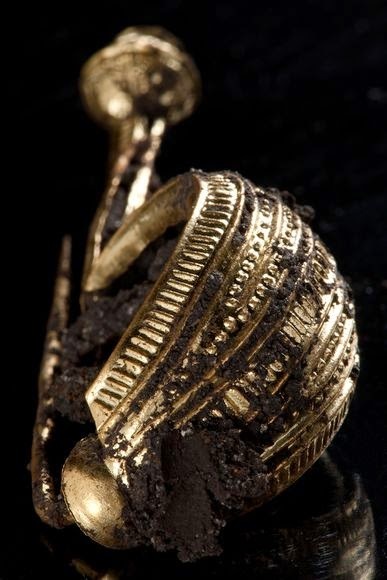 Opening the top, they found a gold brooch. 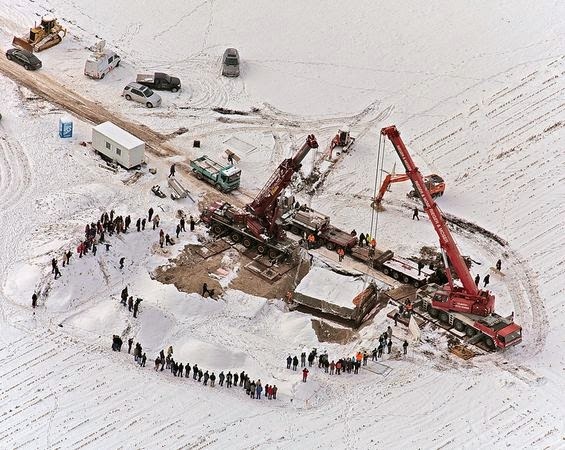 Deciding that the muddy stream bank was no place for a thorough investigation of the grave, they encased the whole thing in steel bars, lifted it out with cranes, loaded it on a truck and took it to a lab in Stuttgart. There they spent the next three years painstakingly taking the wooden box of the chamber burial apart and analyzing the contents. It turned out to contain the remains of two women and a young girl of about 3. 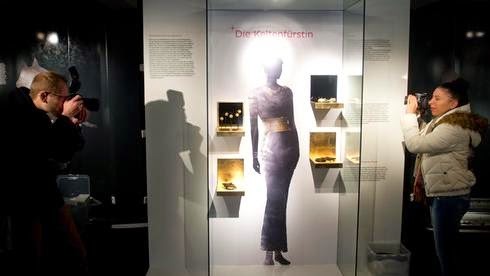 One of the women was between 30 and 40, bedecked with gold and amber; the German press dubbed her the Celtic Princess of the Danube. The young child was also bejeweled, so the general idea is that she was the Princess's daughter. 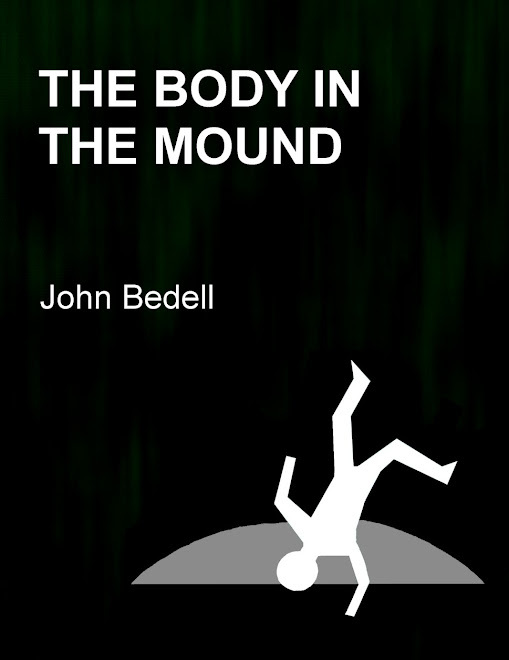 The third woman had no jewelry, so perhaps a servant. 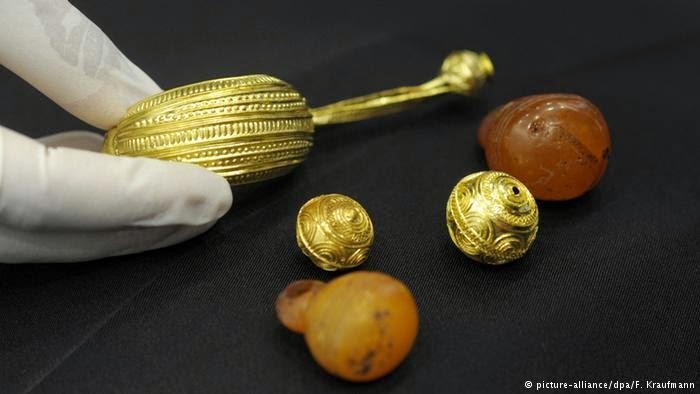 Now the finds have gone on display at the New Palace in Stuttgart. Sadly, this washed-out image accompanies every single article I can find on the discovery in German or English, so this is the best I can do for now. But if anybody gets to the exhibit and manages to get a photo without glare, would you mind sending me one? The next few minutes were given over to a passionate disquisition on stick insects. 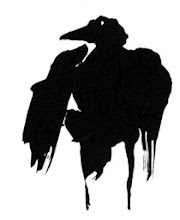 In the distant past, Jansen said, channeling Dawkins, there were nakedly vulnerable insects and dim-sighted birds, but over time some of those insects, through random, accidental mutation, began looking more and more like sticks, while to counter this tendency, their bird predators (again through random, accidental mutation) developed progressively sharper vision. The two creatures, as it were, created each other. 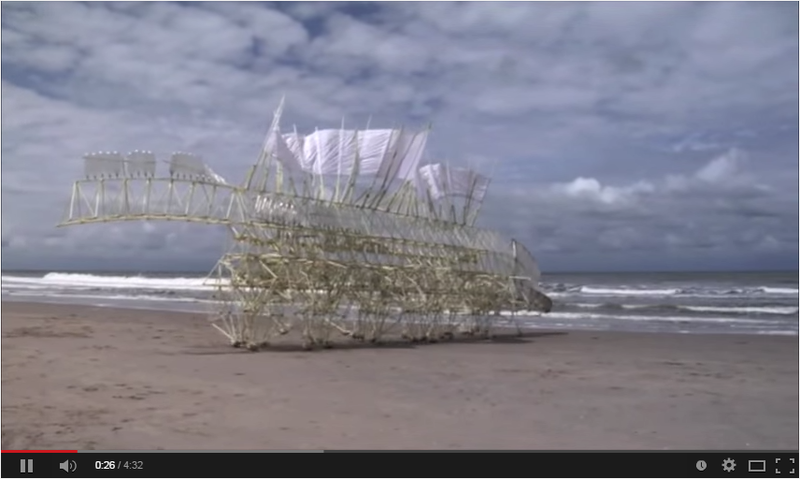 And it was in the midst of those cogitations that, as Jansen himself was walking along the Scheveningen shore one day, the thought entered his head that maybe he ‘'should pay a visit to the Gamma hardware store and check out their plastic tubing. 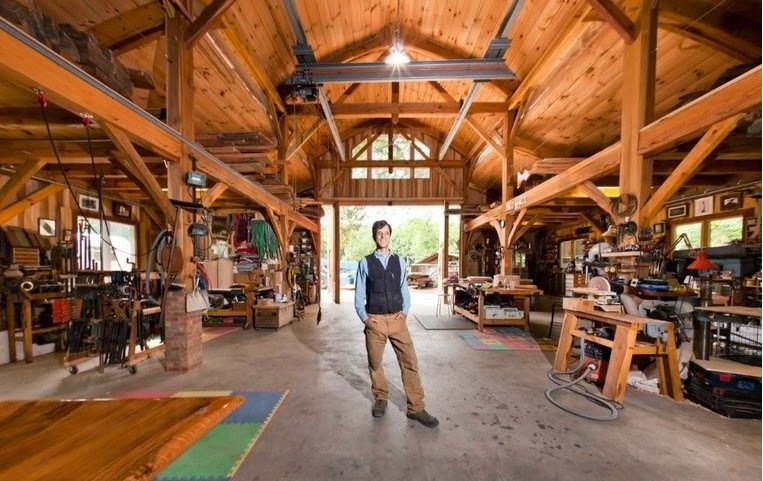 '’ He bought a length of standard PVC pipe (the kind that surrounds cable and electrical conduits) and took it back to his studio. And it was around that same time that he experienced his finger-in-the-dike epiphany, going on to publish that seminal strandbeest proposal. He told me how his first experiments, in the early ’90s, were ‘'sad, pathetic, really hopeless'’ affairs (‘'I was so naïve'’). He used tape to connect the PVC rods, but the creatures kept tearing and collapsing from their own weight; nor did he seem able to get them to walk properly. He advanced from tape to tie-cords, and that was somewhat better, though the walking mechanism was still all wrong. He was lost in a maze of sines and cosines, mapping out legs with two separate cranks, one for the upper limb and one for the lower, differing in phase by 90 degrees. 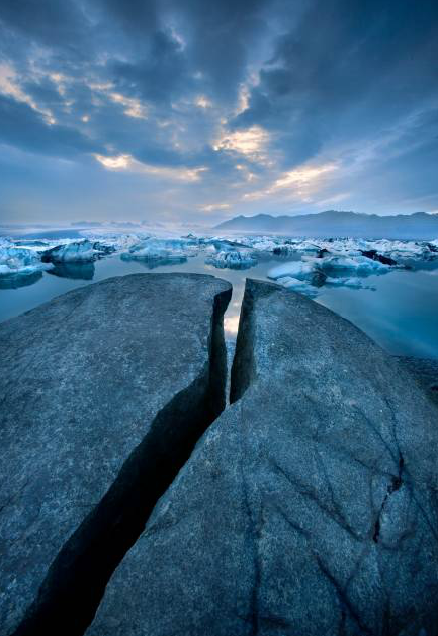 The breakthrough, or rather two major breakthroughs, occurred on a single night, at the end of 1991. First he realized that the leg could have a far simpler structure if a single crank were moved up to the hip joint. (He proceeded to demonstrate all this for me on a plywood-board model he often takes to classes and lectures.) The leg itself would need to be fashioned out of 13 rods, pivoting in relation to one another, so that everything would depend on the specific ratio of the lengths of the 13 segments, one to another. The goal would be to create a long, slow stride with gentle curves planting the leg onto the ground and then pulling it up in order to quickly bring it back to the front of the next long stride. But how to determine those ratios? There were millions, probably billions, of possible combinations of the 13 figures, and even a computer working its way through all of them in brute sequence, especially in those days, would most likely take centuries to evaluate them all. But — and here came his second breakthrough of the night, a reversion to his Dawkins ideal — what if, once again drawing on those earlier experiments, he were instead to program an algorithm whereby thousands of sets of ratios could randomly compete against one another, the best virtual performers advancing forward as the basis for a new generation, generation after generation, until the algorithm itself naturally brought forth the best solution? He tried it, and his Atari chugged away literally for months, but eventually he had the magic ratios, 13 specific numbers (a=38, b=41.5, c=39.3, d=40.1, e=55.8, and so forth) that were to form the proportional basis for all the walking beasts that followed. 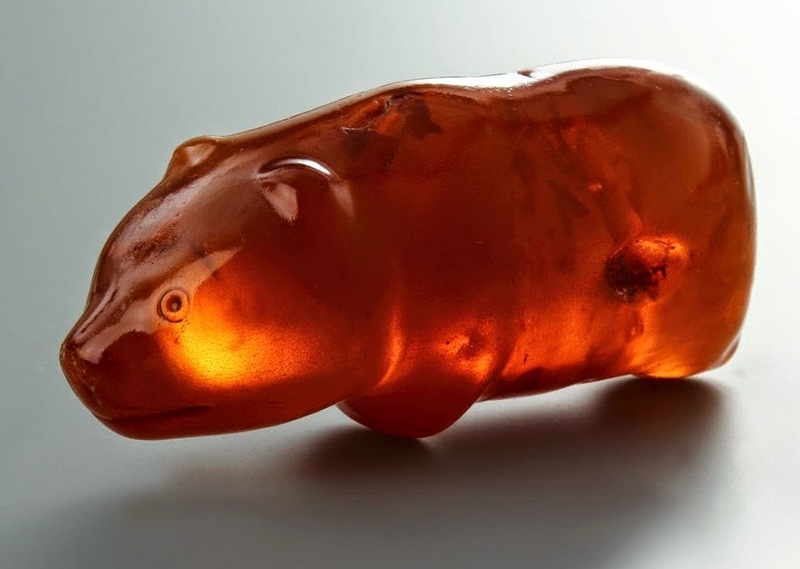 Jansen insists that his beasts are not just an art project or an engineering exercise, but an actual model of how life originates and evolves. 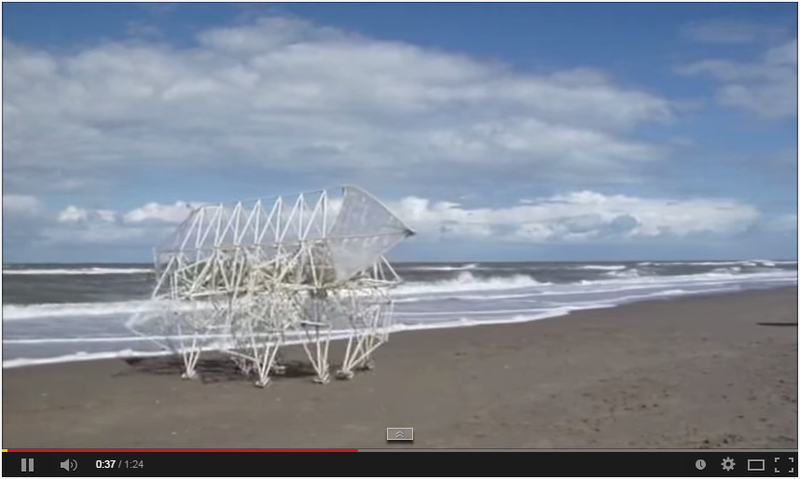 He may have strange ideas about life, but the Strandbeests are certainly amazing. They will be at Art Basel Miami in the spring of 2015, Salem in the fall of 2015, then on to the Chicago Cultural Center and then probably other destinations. Sold in 2008 for 37,000 Euros. "Chalcidian" refers to this style of helmet, which was worn throughout the Greek world, so this particular example may have nothing to do with the town of Chalcis. Lots of effort, but toward what? I think "capitalism" is the wrong word here; it seems to me that a socialist society could have this problem, too. Certainly it is just as bad among scientists who disdain the profit motive as among bankers. I would call this meritocratic striving. But it is absolutely the defining misery of our age that we no matter how hard we strive we are vaguely aware that we are not seeking the right things. 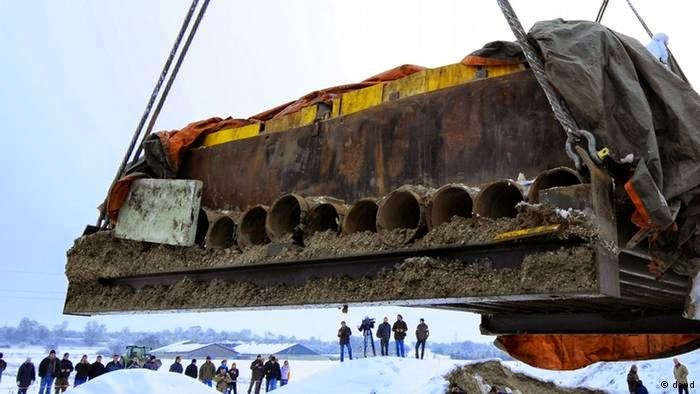 This marvel turned up during the excavation of the new tunnel from the Danish island of Loland to Germany. 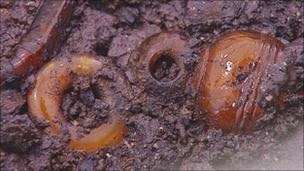 It's about 5500 years old; anaerobic conditions on the sea bed led to the perfect preservation of the wooden handle. 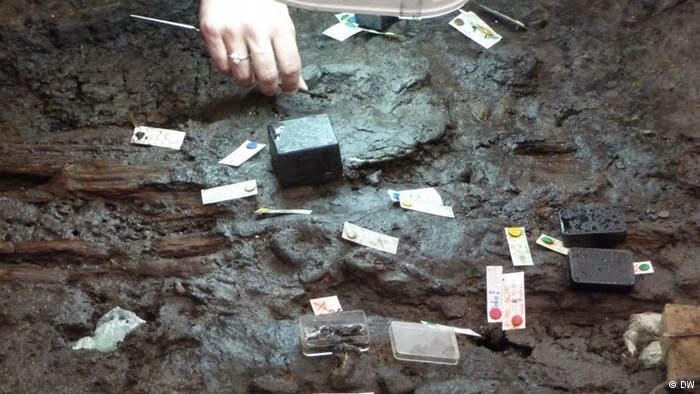 Lots of other stuff was found in the same location around the mouth of a small harbor -- elk antlers, spears, bows, etc. -- so likely this was the site of frequent sacrifices. 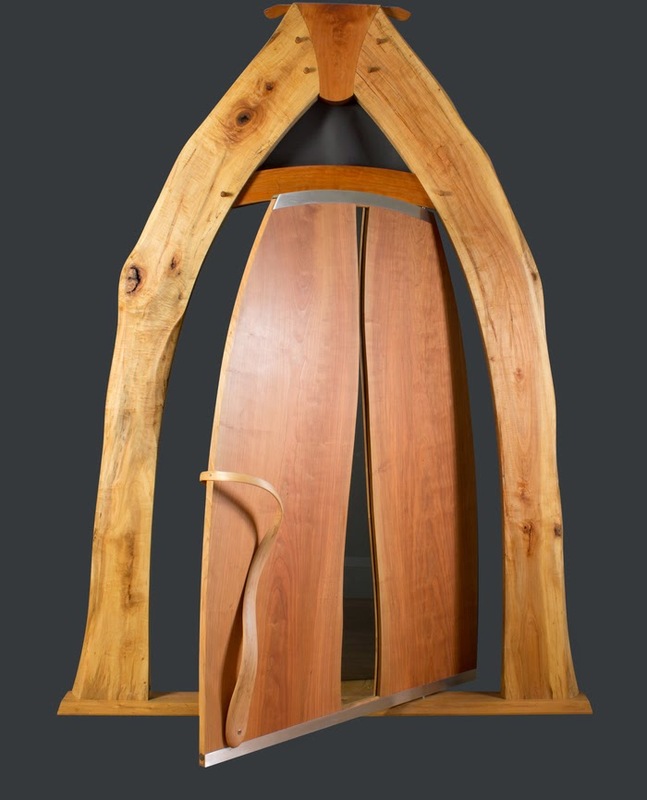 Vico von Voss is a German-born, Maryland-based maker of custom furniture. 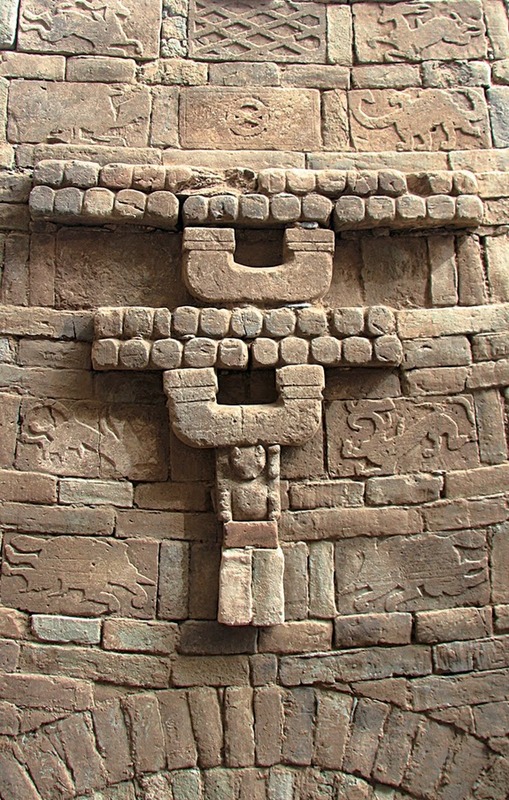 He has also built for his family this amazing house, which uses no nails; the whole thing is held together with wooden pegs and dovetailing. 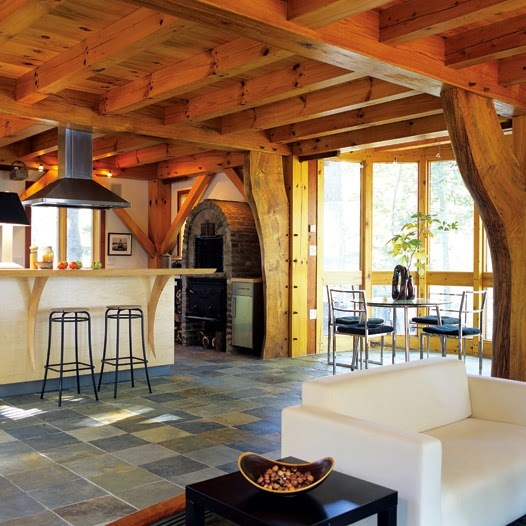 Voss is a great lover of wood and used many different kinds in the construction; he says that in building he lets the wood guide him. Below, his shop. Eat your heart out, guys. 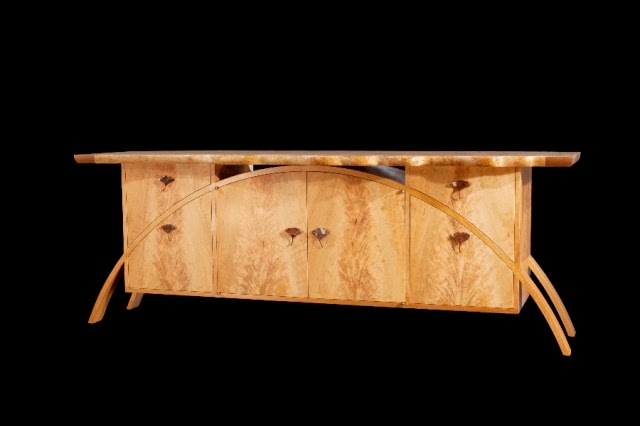 Below, a table and door by Voss. 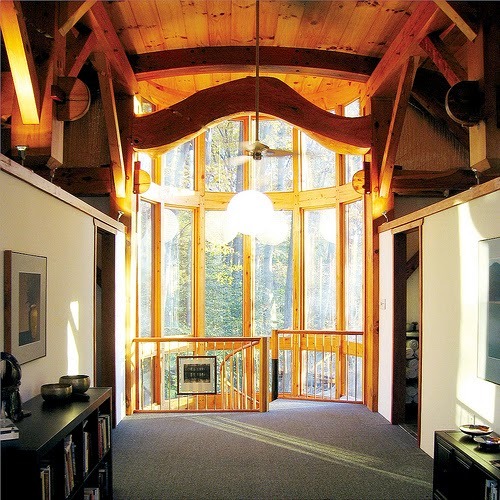 Description of the house here; lots of images of his furniture and joinery at his web site. Marlon James is a Jamaican writer born in 1970. The Book of Night Women (2009) is his second novel but the first I have read (listened to, actually), and I found it fascinating. 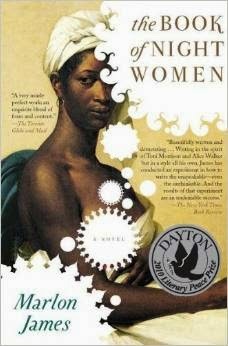 It tells the story of Lilith, a mulatto slave born on a Jamaican sugar plantation in 1784. Lilith's green eyes show that her father was a white man, and she spends a lot of time thinking about how they make her different from the rest of the slaves. Her father is actually the plantation's old overseer, a sinister figure who has murdered many blacks and fathered a brood of mulattoes. Thanks to his patronage she avoids work in the cane fields and joins the slave elite of house servants. The fist two-thirds or three-quarters of the book meander in a way that puzzled me, but in the end the purpose of these seemingly random adventures is made clear: when the slaves of eastern Jamaica plot a great revolt, Lilith is poised in perfect ambivalence, and she might convincingly have joined the revolt's leaders or betrayed them to the slave owners. The revolt is planned by the night women, six female slaves who all have particular reasons to hate their owners. Their leader, Homer, was born in Africa and she convinces the others that if they escape the plantation they can set up villages in the hills like Africans do. They teach Lilith that to be a real woman she must accept the darkness inside her and learn to hate and kill. I loved the night women and Homer in particular, and I have a feeling that James was also fascinated by this creation of his. There are other great characters in the book, black and white. In fact the one character I did not really enjoy or enjoy hating was Lilith herself. She spends a lot of the story in a state of confusion, endlessly worrying over the same questions, which might be realistic but does get tedious. She also does a lot of pointless rebelling and backtalking (to the more senior slaves, not to white people). When someone tells her something obviously true, she has to bark back that the speaker is just jealous or some such, and I got tired of this. But then she is about 15 when the book starts,and she grows up a lot by the end. The book is written is a sort of black Jamaican dialect, and this is one reason why I opted to listen rather than read. I have trouble reading dialect, but as read by Robin Miles it works wonderfully, and I very much recommend her version. I ended the book wondering about Marlon James and his own attitude to his Jamaican ancestors. He hates slavery and dwells at times on its horrors. But only a few of his characters are outright villains and none of them are saints. One of the most interesting parts of the book comes when Lilith lives as the common law wife of the plantation's new overseer, an Irishman. These arrangements were common in the Caribbean, and so far as we can tell some of them were not much different from the average marriage in that patriarchal, violent age. Others were only more intense and personal versions of the sadistic exploitation that defined plantation culture. Lilith's own arrangement confuses her greatly, because this same overseer who once had her savagely whipped for dropping a tray of soup on the guests at the master's New Year's ball now calls her "luvey" and expects her to sleep in his bed. The Irishman comes across as a decent man, or at least as decent as any plantation overseer could be. Compared to his attempts at kindness, the rage of the night women seems a sinister, purely destructive force. Lilith faces the question of whether violent, destructive revolt or accommodation to the system makes more sense for her, especially since during the months of their "marriage" the Irish overseer is kinder to her than anyone else has been in her life. The whole situation is riddled with ambivalence. Two places of great significance are the cave where the night women meet and the library of the big house, and sometimes it seemed to me that James' own sympathies were more in the library than with the plotters in the cave. He is a writer, after all, with a first-rate British education. How does he see Jamaica's present, and its future? What, to him, is the heritage of its horrific past? Or maybe I'm thinking too hard again, and maybe The Book of Night Women is just a great story about one young woman's world. It certainly is that. Hockney himself has never been a member of the avant-garde, or any other team; more an expeditionary force of one, determinedly pursuing his own explorations. The centre of his interest has always been what he calls ‘the depiction of the visible world’. And his crucial skill has been drawing, which he was thoroughly taught at Bradford and practised late into every evening, thus developing an extraordinary virtuosity. 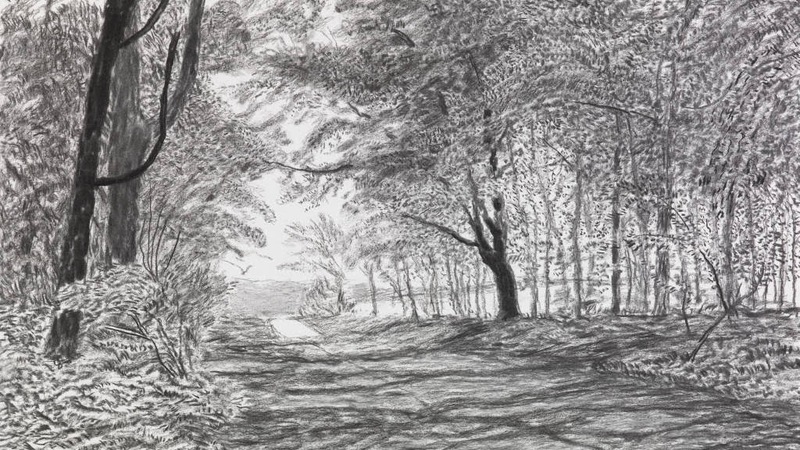 "They don't teach drawing in art schools anymore," Hockney said. "It's criminal. Teaching drawing teaches people to look." Drawing at the top of the post is The Arrival of Spring in Woldgate, 2011; above is Woldgate, 8 May 2013. 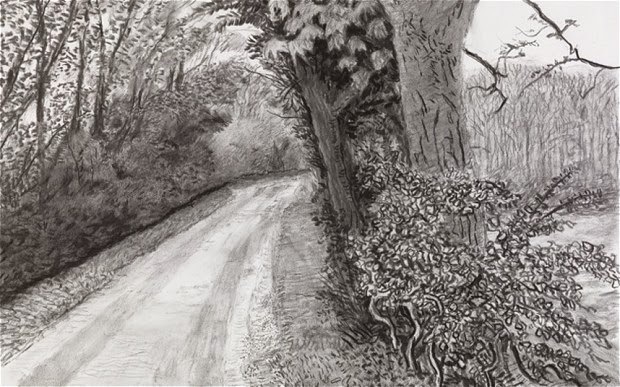 Lots more Hockney work at his web site. This graphic from the Economist has been making the rounds. It is interesting because it shows that racism in and of itself does not cause police shootings. The police in Germany, Britain and Japan and not one whit less racist than American police, and at least in the case of Germany I suspect they are even more racist. A system in which legal police shootings of unarmed civilians are a common occurrence is a system that has some serious flaws. In this case, the drawback is a straightforward consequence of America's approach to firearms. A well-armed citizenry required an even-better-armed constabulary. 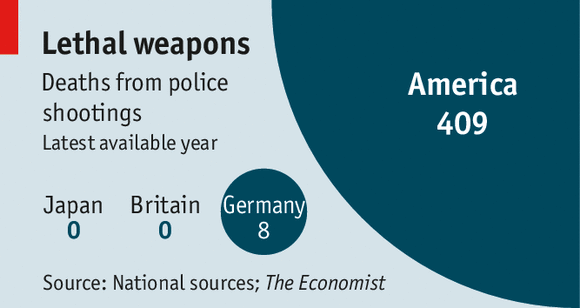 Widespread gun ownership creates a systematic climate of fear on the part of the police. The result is a quantity of police shootings that, regardless of the facts of any particular case, is just staggeringly high. Young black men, in particular, are paying the price for America's gun culture. . . .
A well-armed population leads to police shootings of the unarmed in two ways. One is that police officers have to be constantly vigilant about the possibility that they are facing a gun-wielding suspect. Cleveland police officers shot and killed a 12 year-old boy recently, because they not-entirely-unreasonably thought his toy gun was a real gun. The other, more relevant to the Michael Brown case, is that when civilians are well-armed, police have to be as well. That turns every grappling encounter into a potentially dangerous situation. The officer always has to worry that if he doesn't reach for and use his own gun, the suspect will. In his grand jury testimony, Wilson pointedly claims that at one point Brown put his right hand "under his shirt into his waistband" — i.e., made a motion that could be plausibly construed as reaching for a gun. This is one of the dangerous side-effects of our gun-loving culture. Police are trained to be on hair-trigger alert against the possibility that someone will pull a gun on them, and as a result they open fire in all sorts of crazy situations. Nervous people with guns are a real danger to those around them, and in America many police are nervous. 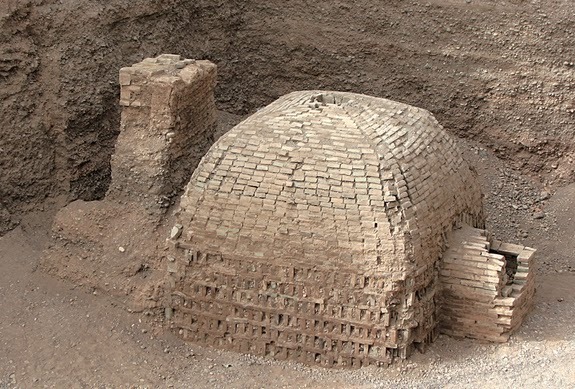 Archaeologists have uncovered several tombs in the western Chinese city of Kucha that date to about 300 CE. 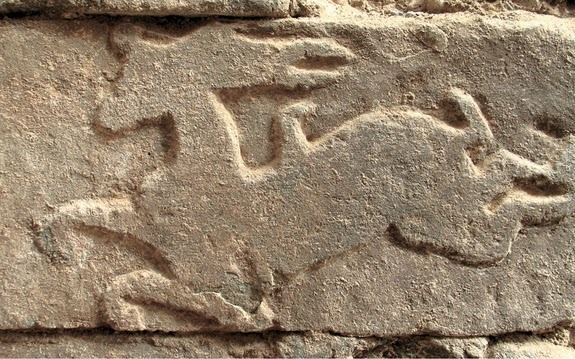 Above, one of the tombs; below, carvings of heavenly deer and other mythical animals. Enlarge the image above and you can make out the traditional beasts of the four seasons: left, second from top, the Vermilion Bird of the South, left, second from bottom, the White Tiger of the West, right, second from top, the Black Turtle of the North; right, second from bottom, the Azure Dragon of the East. I don't have a gun, stop shooting! Hey, remember that time when that dog got rabies, and then a day later, every single other dog on the continent had it, except for a small band of survivors huddled in a basement? No? That never happened? As we gear up for a big winter storm forecast for Wednesday, I post these two images of the last of Fall. Above, an oak tree in Washington, and below, shelf fungus in the woods down by Quantico where I checked in on my crew this morning. The constitution supposes, what the History of all Governments demonstrates, that the Executive is the branch of power most interested in war, and most prone to it. It has accordingly with studied care vested the question of war in the Legislature. The Constitution vests the power of declaring war with Congress. Therefore no offensive expedition of importance can be undertaken until after they have deliberated upon the subject, and authorized such a measure. These are from Rand Paul's declaration of war against ISIS, which also rules out ground troops and limits the action to one year. I do know this principle has been violated routinely in American history, but that doesn't make those violations a good idea. In the woods by my house over the weekend, no colors left but brown and gray. Can Democratic Politics Get Any Worse?